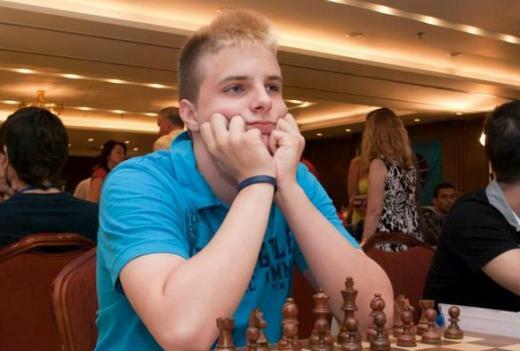 GM Richard Rapport defeated GM Yu Yangyi in the top board encounter of round 9 to jump into clear first with 7,5/9 at the World Junior Chess Championship in Athens, Greece. His other direct opponent GM Alexander Ipatov escaped with a hard fought draw against GM Samvel Ter-Sahakyan. With this GM Ipatov is now sharing the second position with 7,0/9 together with the winners from the round GM Aleksandr Shimanov and IM Conrad Holt. In the group of players with 6,5/9 is the top seeded GM Ding Liren, who continues to be undefeated, but added yet another draw to his account. Other players just a point behind the leader are GM Nils Grandelius, GM Yu Yangyi, IM Sahaj Grover, IM Das Debashis, IM Grigoriy Oparin, GM Samvel Ter-Sahakyan, and FM Schreiner Peter. Multiple players achieved norms based on 9 rounds, see the list below. Round 10 of the event will see the leader GM Richard Raport face GM Alexandr Shimanov with black . IM Condrad Holt will have white against GM Ipatov. Other top encounters from next round are IM Sahaj Grover – GM Ding Liren, GM Yu Yangyi – IM Grigoriy Oparin, IM Das Debashis – GM Samvel Ter-Sahakyan, GM Nils Grandelius – FM Peter Schreiner. It was an exciting day in the girls section, with multiple decisive results at the top boards. 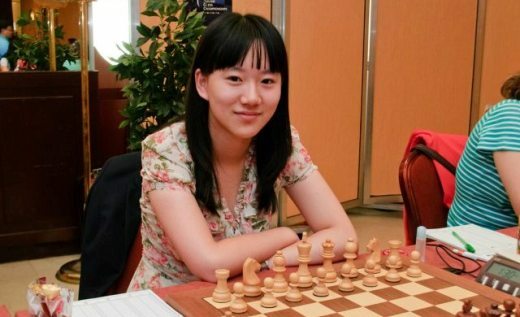 WGM Quo Qi stunned with black the R8 leader WGM Nastassia Ziaziulkina to advance to shared first with 7,0/9. She is now joined at the top by the 2011 girls champion WGM Deysi Cori and by WIM Meri Arabidze who scored a third consecutive win. WGM Ziaziulkina remains 1/2 points behind together with IM Anastasia Bodnaruk. Among the players 1 point away from the first positions are WIM Irina Bulmaga, WGM Alina Kashlinskaya, WGM Jovana Vojinovic, WGM Aleksandra Goryachkina, WIM Bhakti Kulkarni, WIM Chelsie Monica Sihite, and WIM Varga Klara. Tomorrow WGM Guo Qi and WIM Meri Arabidze will face each other in a direct encounter, while IM Bodnaruk will meet WGM Deysi Cori. Other top matches in the girls section are WGM Vojinovic – WGM Ziaziulkina, WIM Kulkarni – WGM Kashlinskaya, WIM Bulmaga – WIM Varga, WGM Goryachkina – WIM Sihite.